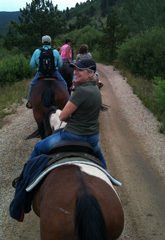 There are always plenty of activities in and around the Arapaho Ranch Cabins. Many enjoy the peaceful walks along the stream, while others really enjoy the fly and spin cast fishing. We even have a favorite fishing guide who knows our private access mountain stream very well. One of the more popular activities outside of the ranch is hiking on one of the dozens of trails within minutes of the ranch. Perhaps the most popular trails are at the "Fourth of July" and Brainard Lake. 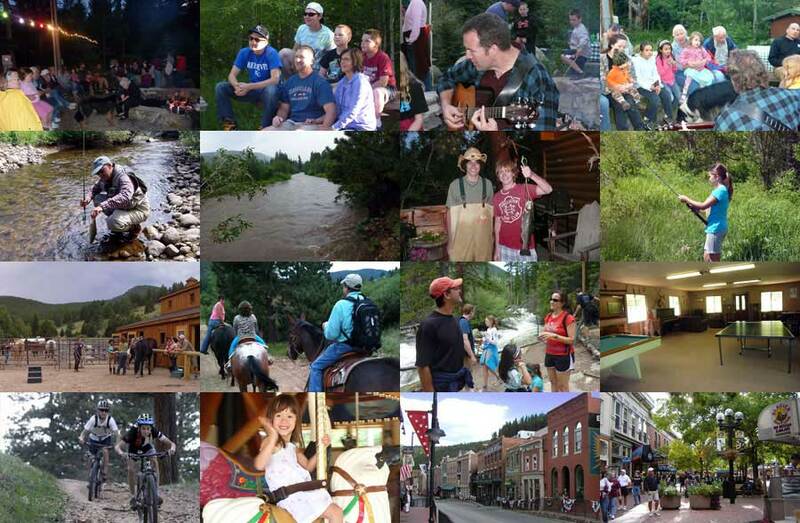 There is little doubt that we offer the best cabin rentals in Colorado. Mountain and road biking are also very popular in our area. You will find a large number of road bikers working their way up Boulder Canyon between Boulder and Nederland, as well as along the Peak to Peak Highway between Estes Park and Black Hawk. Mountain bikers will find an abundance of trails in the area. ClickÂ hereÂ to watch a live mountain bike experience in Nederland. Of course there are always folks who enjoy horseback riding in the mountains and you will find a wonderful stable and guide only five minutes away. ©2013 ARAPAHO RANCH CABINS, NEDERLAND, COLORAOD - All Rights Reserved.